In London, crazy people attack other people on bridges | The mind is an unexplored country. 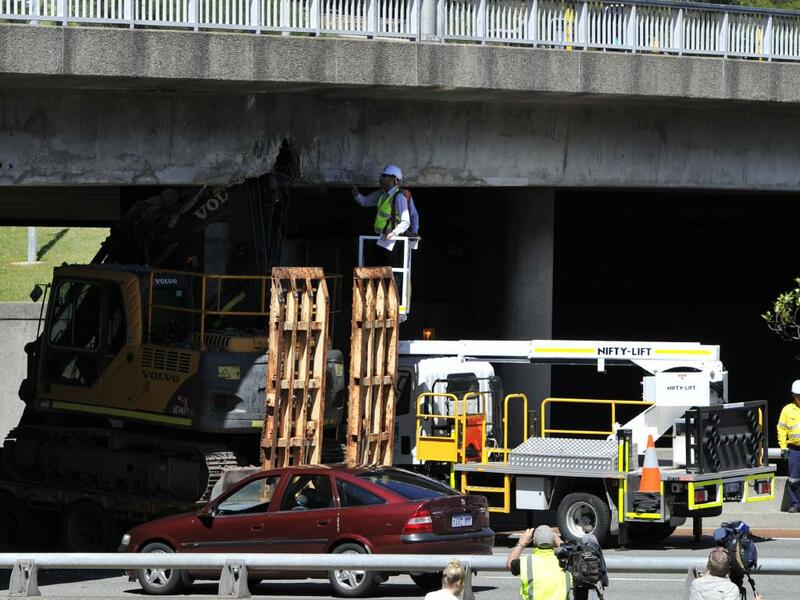 In Perth, it’s the bridges that are under attack. This is right in the heart of the CBD; the main part of the city is on the left, and to the immediate right is Parliament House. Surprisingly traffic was back to normal within a day. If I was the Hay Street overpass I’d be taking stress leave. 2014: same bridge, practically the same spot. Out in the suburbs the Bayswater railway bridge had an up close and personal in April this year. 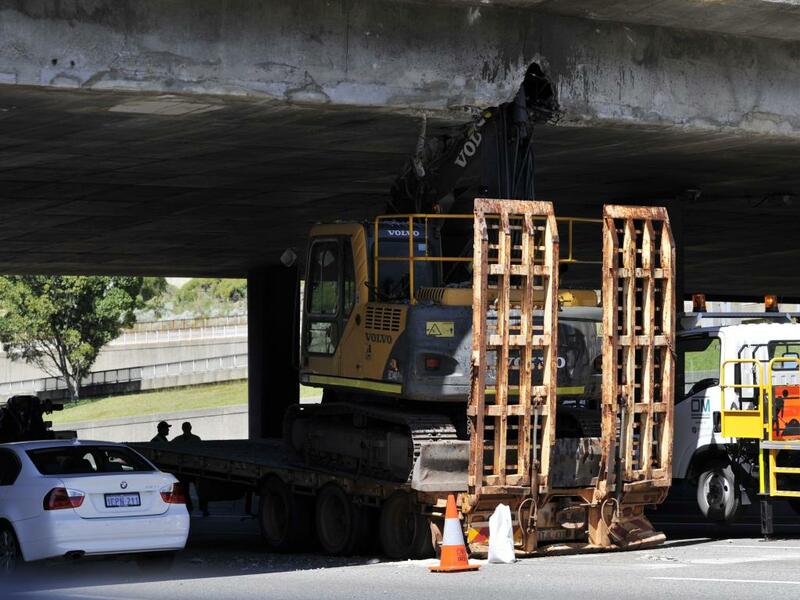 “The next truck to get stuck under the King William Subway is scheduled for Wednesday afternoon. Please make alternative travel arrangements,” it said. 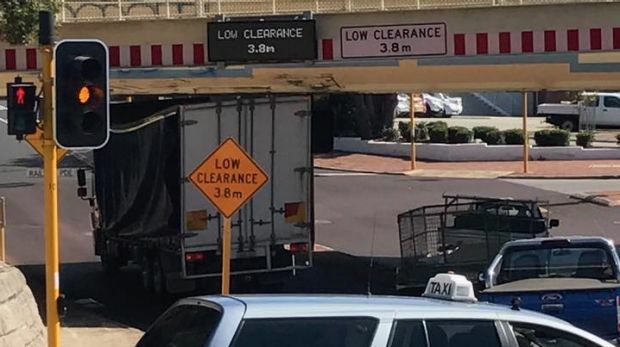 The sign proved accurate to within 24 hours when a Western Power truck was the latest to fall victim to the low clearance. The story continues at the link. Japan to the rescue! Sort of. « I went to school with a kid who had a similar power.